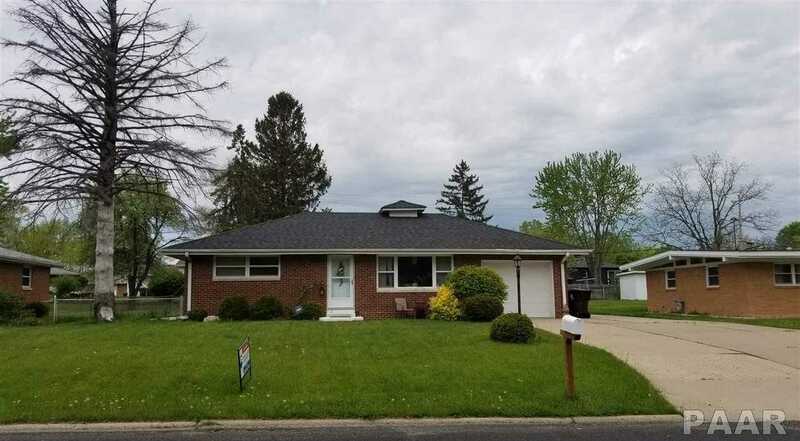 Centrally located brick 3 bedroom, 2 bath ranch in Peoria. Close to I-74, shopping, and eating. Furnace motor replaced and shingles on roof in 2018. A lot of fresh paint including kitchen cabinets, main floor bedroom wood floors were beautifully refinished. House has replacement windows. Finished 32 x 11 Family Room with extra storage built in. Built-in bar with small refrigerator. Very large fenced in back yard. Shed in back yard. Extra deep 27 x 12 1 car garage with a large pad of concrete parking on side of house. Energy efficient furnace. Appliances work, but not warranted. Please, send me more information on this property: MLS# PA1200052 – $99,900 – 3021 W Westport Road, Peoria, IL 61615. I would like to schedule a private showing for this property: MLS# PA1200052 – $99,900 – 3021 W Westport Road, Peoria, IL 61615.